M*E*T*H: Walter White, Jr. joins the military and is shipped off to fight in Syria and finds that laughter and cooking meth is the best way to deal with the war. Saul in the Family: Saul Goodman marries Lydia Rodarte-Quayle and adopts Holly White and they all play the piano together and shout out racist remarks. Hank & Marie: Wholesome family variety show showcasing Hank & Marie’s talents like having panic attacks, driving and wearing a lot of purple. Welcome Back, Gustavo Fring: After a tragic accident at a hospital, Gustavo Fring returns and joins the cast of The Walking Dead. White and Son: Basically, it’s Breaking Bad – old man with an established business wanting to teach a young guy how to run it – the only difference is that Walter White is now played by Idris Elba and Walt Jr. by Bruno Mars. 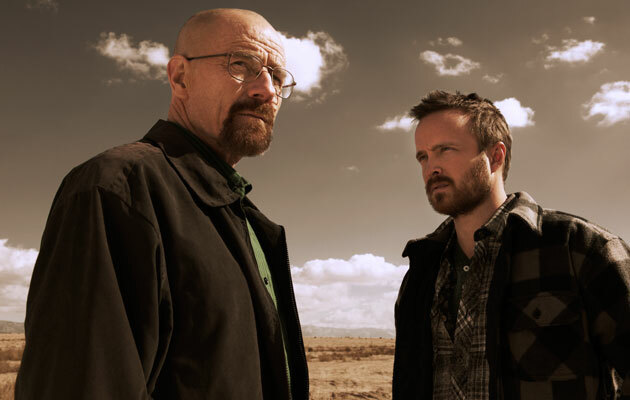 Top Cook: Jesse Pinkman is a host of reality tv show where 21 of the best meth cooks around the country to use their skills to compete for the title of Top Cook; skill test will include how to properly set up your RV, cooking for color, and how to take a brutal beating. Late Night with Hector “Tio” Salamanca: A late night tv show where Hector Salamanca interviews a variety of celebrities and musicians. Next postKim Nelson: Look At Me, I’m High Priority!! !